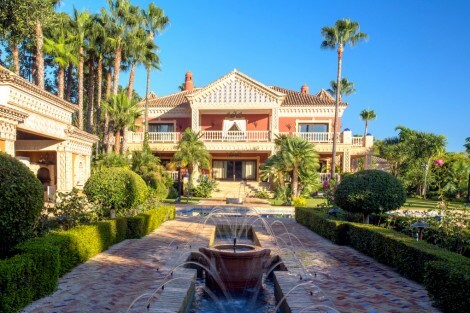 Finished to the highest qualities possible, this impressive South facing villa is situated in the exclusive gated community of Sierra Blanca, which is located in the hills of Marbella, just a few minutes from Marbella town, the Golden Mile and Puerto Banús. Built over 4 levels and connected with a lift, this recently refurbished villa has a heated 25m long pool and amazing panoramic sea views. 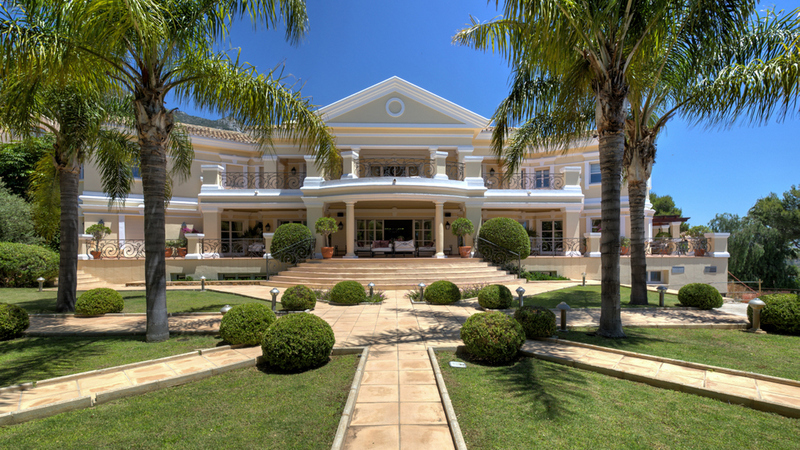 It comprises an entrance hall with a guest toilet, an office with private bathroom and fireplace, and a fully equipped kitchen with adjacent formal dining room. There are 2 exclusive lounges with fireplace and beautiful views out to the pool area and the manicured garden. On the first floor there are three bedroom suites. The master suite features a private bathroom, a large dressing room and an uncovered terrace with panoramic sea views. The lower level consists of 3 more bedroom suites, one of them could be used as a cinema room and the other has direct access to the swimming pool. The Spa area consists of the heated pool, a Turkish bath, a shower and a toilet. The spacious basement incorporates the garage for 5 cars, the gym, the billiard room, laundry, storage and a staff apartment with separate entrance. The qualities include an outdoor heated pool, alarm system, central A/C, gasoil under-floor heating throughout and electric in the bathrooms, water tank, etc. Please, send me more information about ref W-024Q42, Villa in Sierra Blanca, Marbella Golden Mile or similar properties.